FORT SILL, Okla., March 20, 2018 /PRNewswire/ -- Forty-five unmanned aerial vehicles and drones fell out of the sky during a U.S. Army exercise after Raytheon's (NYSE: RTN) advanced high-power microwave and laser dune buggy engaged and destroyed them. 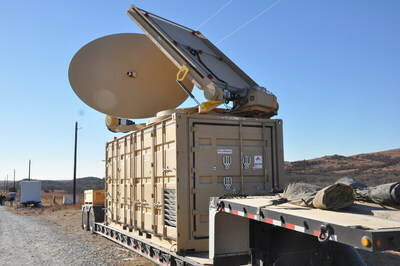 These common threats were knocked down during a Maneuver Fires Integrated Experiment at the U.S. Army Fires Center of Excellence. 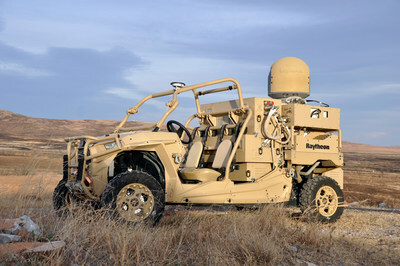 The vehicle-mounted laser combined a solid state laser with an advanced variant of the company’s Multi-Spectral Targeting System™ and installed them on a small, all-terrain Polaris militarized vehicle. The system delivers 300 seconds of invisible, precise and instantaneous energy and five hours of intelligence, surveillance and reconnaissance from a single charge. Coupled with a generator, the HEL weapon system provides military members with counter-UAV capabilities and a virtually unlimited magazine.